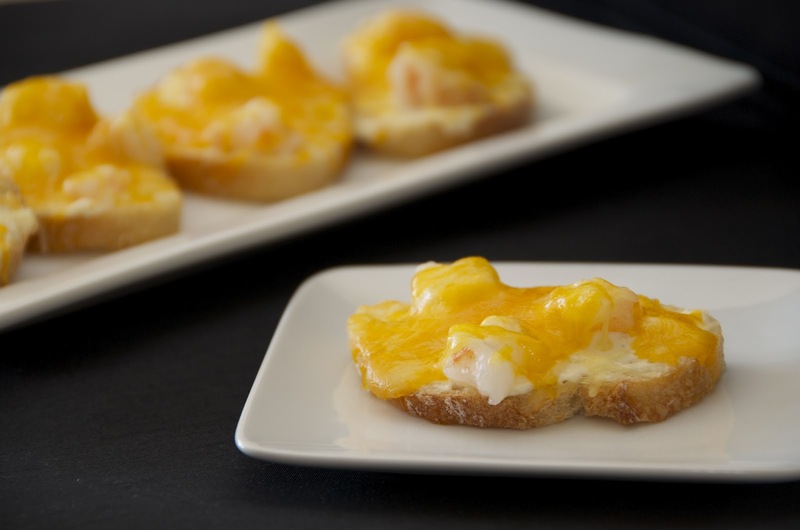 These Shrimp canapes are perfect for appetizer for any party or get together.They are my families all-time favorite. 15-20 pieces of large raw shrimp cut in to pieces. Shredded colby jack or any other of your choice. With a hand mixer, combine cream cheese,mayo,seasoning salt, and garlic. Spread the mixture on the baguette slices. Place about 6-7 pieces of shrimps on top. Sprinkle cheese on top of the shrimps. Arrange prepared canapes on a baking sheet and place it in the oven. Bake in the oven for about 8 -10 minutes. These look amazing Nadia I'll have to try them soon!!! Hope my post went through? Waah! Oh, I think I know why my comments are not getting through. I'm so sorry. Just wanted to say these look so cute! Have a nice day. Wow- I love shrimp and these look wonderful! Will have to try these soon- would be perfect for my next cooking club meeting! I like shrimp very much and I cooked many differant recipes. In a time I'll cook your recipe. Thank you.